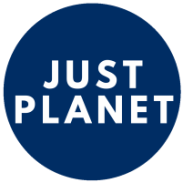 Just Planet is a non-governmental organization with a broad range of expertise, on the ground experience, and a global network of human rights experts and activists.​​ Just Planet advances human rights, recognizing the indivisibility of all human rights across past, present, and future generations, as well as the interdependence of humanity and the planet. By identifying contemporary and emerging human rights challenges and responding to human rights violations, Just Planet promotes and defends human rights worldwide. Our work is guided by international human rights law, international criminal law, and international humanitarian law. Former UN Special Rapporteur on Torture, Juan Mendez introduces Just Planet and discusses the complexities of reconstructing society following mass atrocities and war. Geneva, July 2018 - ​​​Just Planet contributed to the 11th session of the United Nations Expert Mechanism on the Rights of Indigenous Peoples that adopted new guidance on the right to consultation and free, prior and informed consent (FPIC). José Parra, Director of the Human Rights and Sustainable Development, attended the session and shared insights on FPIC with Dr. Albert Barume, member of the Expert Mechanism. FPIC is a central provision of the United Nations Declaration on the Rights of Indigenous peoples and Just Planet will continue to promote FPIC to translate the UN Declaration and the rights of future generations into reality. Geneva, July 2017 - Just Planet attends tenth session of the Expert Mechanism on the Rights of Indigenous Peoples (EMRIP) following the extension of its mandate to include advisory services to governments and indigenous peoples. April 2017 - Just Planet participates in launch of the Study on Strategic Litigation Impacts on Indigenous Peoples’ Land Rights by the Open Society Justice Initiative. José Parra, Just Planet, was a member of the independent advisory panel of the study. Discussions at the report launch explored how the Expert Mechanism on the Rights of Indigenous Peoples can support strategic litigation to implement the UN Declaration on the Rights of Indigenous Peoples. February 2015 - Just Planet and the Working Group on Indigenous Issues of the University of the Andes (Venezuela) address the issue of sacred sites and the right to indigenous collective heritage in Venezuela. We made a joint contribution on cultural heritage to the UN Expert Mechanism on the Rights of Indigenous Peoples. November 2017 - Just Planet joins indigenous women leaders in Canada to demand the Canadian government eliminate discrimination against indigenous women under the colonial Indian Act. October/November 2017 - Just Planet leads joint submission to protect the right to life against climate change and environmental degradation. Just Planet, the Center for International Environmental Law, Amnesty International, Greenpeace International, Earthjustice, the Human Rights Consortium, the David Suzuki Foundation and Ecojustice made a joint submission to the UN Human Rights Committee regarding draft General Comment 36 (right to life) arguing that States' obligations to protect the environment are a core element of the right to life. Yale University, February 25, 2017 - Just Planet hosts children's rights and extreme energy panel. Dr. Ted Auch of FracTracker, and Our Children's Trust lawyer, Elizabeth Brown joined Just Planet's Annabel Webb and Kathleen Maloney at the 2017 New Directions in Environmental Law conference at Yale University. The panel discussed States' international and domestic obligations to protect children against environmental and human rights impacts of extreme energy. Geneva, September 23, 2016﻿ - Just Planet calls for an end to fossil fuel subsidies and extreme energy projects, arguing that States have an obligation to stabilize the climate under article 6 of the Convention on the Rights of the Child. At the CRC Day of General Discussion on children's rights and the environment, Just Planet called for States to implement science-based (350ppm) emissions targets in order to meet human rights obligations. Just Planet argued that 'extreme energy' projects, such as tarsands and fracking, are a flagrant violation of children's right to life, survival and development.